Ross & Joe, The Subways, Maximo Park, Everything Everything, Hozier and more. This show was 9th in the global sport chart and 93rd in the global alternative chart. 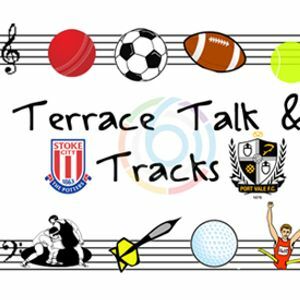 With Phillipa unwell again, Stoke fan Joe Haynes steps in to talk all things Stoke, Vale & music with Ross Hancock. As both of us are big fans of Ryan Shawcross, listen out for a great debate on his England future after 23 minutes.